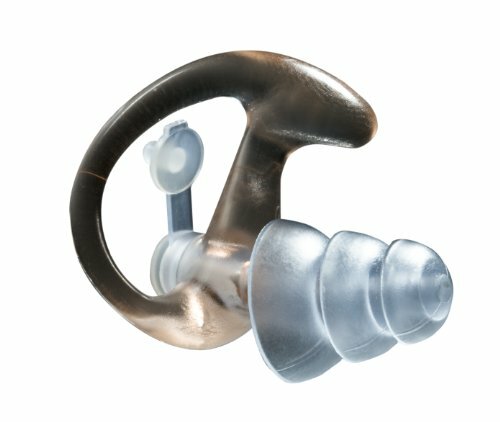 EP4 Sonic Defenders Plus protect your hearing without interfering with your ability to hear routine sounds or conversations. Their triple-flange stem design fits larger ear canals and provides a Noise Reduction Rating (NRR) of 24dB. Sounds, at safe levels, are allowed to pass through into the ear canal, while potentially harmful noises (above 85dB) are reduced to safe levels via a proprietary design that incorporates the patented Hocks Noise Braker filter. EP4s include attached stopper plugs, which can be inserted for further protection and blocking out lower-level noise, like that heard on a plane, where hearing ambient sounds or conversations isn't critical. The right/left color-coded Sonic Defenders Plus are made from a soft but durable, hypoallergenic polymer and are ergonomically shaped, with an adjustable-stem design, providing a secure fit, all-day comfort, and extended product life (3 to 6+ months, depending on usage and care). And their low-profile design means they can be worn while wearing a helmet or mask, or while using a phone or headset. Available in clear or black. Comfortable EP4 Sonic Defenders Plus also serve as earpieces for EarPro by SureFire and other compatible radio communication systems*simply by removing the Hocks Noise Braker filter and attaching the earpiece to the system. NOTE: EP4 earpiece no longer provides hearing protection once the Hocks Noise Braker filter has been removed. EP4 Sonic Defenders Plus are sold as a single left/right set or in a box containing 25 sets. Each set is packaged in a convenient carry case and includes a polymer lanyard. EP4s are available in small (S), medium (M), and large (L). Proper size is based on the dimensions of your ear's concha bowl. Size "medium" fits most people; however, to ensure the best possible fit, review the earpiece sizing chart below. For those with smaller ear canals, the EP3's two-flange stem may provide a better fit than the EP4's three-flange stem. Bulk package of 25 pair. EarLock by SureFire retention ring utilizes seven contact points to lock earpiece in place and fit the same way every time; soft, double-flange stem provides secure seal and all-day comfort.